In 1998 «Tvertrubplast» Ltd showed itself as a reliable and promising business with competitive produce which is in great demand and meets the requirements of life-support engineering system. 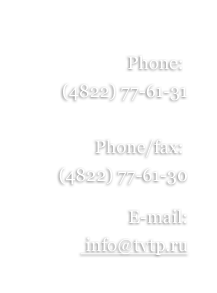 «Tvertrubplast» Ltd operates actively in the market of goods and services in Russia and former Soviet republics. Production and realization of flexible conduits, convoluted pipes, electrotechnical pipes for electric wiring and cable system construction. In 1998 «Tvertrubplast» was one of the first companies which worked out a special pipe for fiber-optic cabling. Due to high quality of the pipe and responsible realization of delivery terms and operative decisions of urgent problems «Tvertrubplast» Ltdbecame a leader of this sphere and now it supplies 30% of Russian projects. Among our clients there are such companies as Mezhgorsvyazstroy, Gaztelecom, (Yamal-Europe project), Transneft, Rostelecom, Svyazinvest, Siemens (Caspian Pipeline Consortium project), KazTransOil and others. 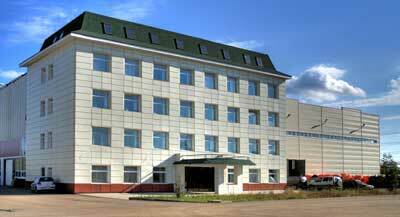 The company exports its products to Kazakhstan, Kirgizstan and Byelorussia. Taking into consideration the requirements of our clients, we expand a range of exported goods constantly. The head office and storage spaces of the company are located on the same territory which makes it comfortable to work with clients and guarantees quick deliveries. The company delivers goods to all regions of Russia and former Soviet republics by its own transport or with the help of forwarding companies.